Hey everyone! 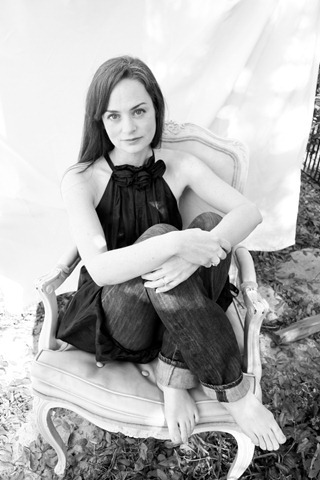 Thanks to Grand Central Publishing, I have the honor to interview Pure author Julianna Baggott on my blog today. If you haven't heard, Pure is the latest dystopian novel to hit the scenes, and it's pretty intense. Without any further ado, please welcome Julianna! 1. What inspired you to write PURE? Inspiration is part-beast part-myth. On the one hand it can attack you, but on the other hand it might not exist. You can't wait for the attack of inspiration. You can try to sit in a field covered in honey and hope for bears but, you know, it won't get you through a 400 page novel. 2. Do you have a favorite place you like to write or read? I flop anywhere. I'm a floppy reader. I read most often at night in bed by a dull lamp because my husband is already asleep. I stay up too late... sometimes to wee hours. I'm probably going slowly blind. I write in a dormerless slant-roofed room at present, but I'll do that anywhere too. Bomb shelter? Yes, I'd love it. 4. What's your favorite dystopian novel? I think the work of Southern writer Tom Franklin is dystopian -- except it's often set in the contemporary South. 5. Any advice for bloggers who'd like to become published authors? I think it all feeds the greater good of building language and thought. Words on pages. Reading what you love -- they're all blueprints to what you can write... It's all good. So keep going and then send your beloved book out into the world of agents and editors and madness. 6. In twitter speak (140 characters or less), how would you sell PURE to someone who hasn't heard of it? Main character is a 16 yo girl with a doll-head fist. Laini Taylor says JUST READ IT. Thank you so much, Julianna, for taking the time to answer a few questions. And now a treat for all you readers out there. Again, thanks to Grand Central Publishing, I am giving away a copy of Pure to one lucky winner. All you have to do is fill out the Rafflecopter form below. This giveaway is only open to US/CA participants and ends March 10th. Extra entries will be rewarded to those who follow Julianna on twitter, tweet about the giveaway, and/or follow my blog. Good luck, and may the odds be ever in your favor. I love dystopian and I read so many great things about this book. Thanks for the giveaway! Love how you would sell the book on Twitter, funny! Happy reading! Lol LOVE your selling tweet! I would totally go buy it just for that!! Great interview! I really liked this book. I thought it was creepy, and creative! I love the selling tweet! This sounds like a new and intriguing dystopian! I've heard a lot of great things about this book. I can't wait to read it. Thanks for the giveaway! I am addicted to dystopian fiction right now. The tweet is perfect!! Who doesn't love Laini Taylor? Can't wait for more information on Fuse when available! 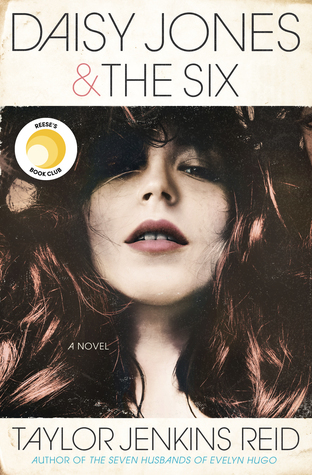 I love Dystopian Fiction, and I would love to read this book. Thanks for the opportunity to win! I have read so many good reviews about this book! I really need to get my hands on it. Dystopian is my absolute favorite genre and I have been waiting months to read this book. I also have to say that is has one of my favorite covers and I can't wait to find out what the significance to the story is! I love her answer to the first question, especially: "You can try to sit in a field covered in honey and hope for bears but, you know, it won't get you through a 400 page novel." That is SO TRUE! 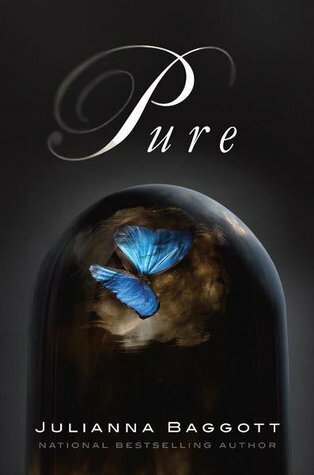 I've heard nothing but raves about Pure and am dying to read it! Love me some good dystopia every once in a while, and this one sounds like an absolute MUST-READ! Thank you for the wonderful interview and awesome giveaway! I'm really looking forward to this one! Anything Lani Taylor plugs has my vote :) Plus, it sounds freaking awesome! I stay up waaay too late reading while my husband sleeps beside me as well. Sometimes I'll look up and go "woops. When did it get to be 3am?" Great interview! I have heard so many good things about the book! I like that you are a floppy reader lol. I am to, as long as i have my book i am good! Julianna, you're witty and charming! And I love the photograph. I'm not a "floppy reader" though---I'm very particular about my reading habits, but like you, I often stay up very late reading, writing, (entering these book giveaway contests), and trying to find a decent lamp that won't wake up my husband. Your working space sounds "romantic," as I imagine every writer's space is personal and intimate. But, yes, a bunker works, too. So long as there's enough light, food, paper, pens, books, and a good keyboard. I'd like one of those (a bunker, that is!) For now, I have taken over my daughter's recently renovated nursery to my home office. Can't wait to read "Pure" and hoping that Rafflecopter will be kind to me this round. i've been seeing Pure around a lot so it really capture my attention! I like the comment about inspiration being part beast/part myth! Juliana sounds like she'd be a fun person to get a cup of coffee with. I'm a bit of a floppy reader as well. I look forward to reading Pure whenever I get my hands on it! Lol my tweet talk sentence would be.... latest dystopian to rule the world... chuck Norris says read it, only cuz everyone knows if ya don't he will find ya lol anyway I just wanted to say if you ever need a review, cover reveal, etc... just contact me! Great interview! I love dystopians right now, and have been dying to read this! Great interview. I am looking forward to reading Pure. I have heard so many great things about the book.